The Police, upon directives from the Attorney General, yesterday effected the arrest of Atta Akyea, lawyer and Member of Parliament for Abuakwa South, at the Commercial Court F, just as he was about to give testimony in a civil case between his law firm, Zoe, Akyea & Co and J. Adom Ltd, a construction firm over disputed legal fees. This forced the court to adjourn the case. In a bizarre twist to this civil case between lawyer and client, the Attorney-General has stepped in to charge the Abuakwa South MP for stealing and fraudulent breach of trust to appease Joseph Adom, the same defendant in the civil dispute, whom Atta Akyea is suing for fees allegedly owed to him. The MP was released yesterday but not on the usual self-cognisance bail. 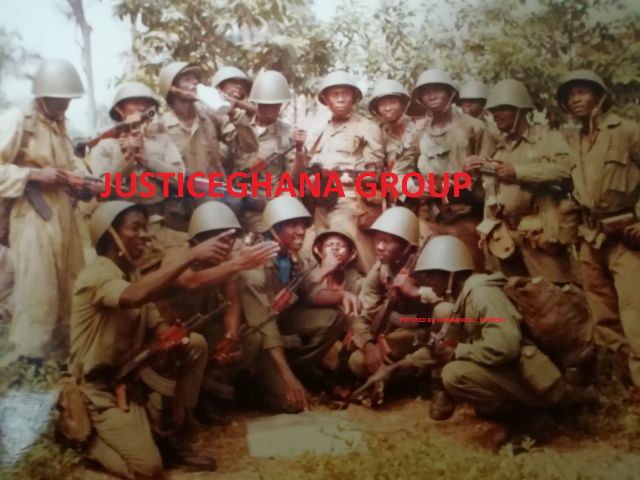 He was freed by the CID on a GH¢100,000 bail surety. Atta Akyea was accompanied yesterday by his lawyers Akoto Ampaw and Yoni Kulendi, with Asare Otchere-Darko, another lawyer and a relative, providing the surety. Also, according to Yoni Kulendi, he does not see the urgency in a concurrent criminal case when the outcome of the civil matter is not known and the civil court has the competence to rule who owes who and by how much. While the MP was in custody in the afternoon, the Speaker of Parliament, angered by the arrest of the Parliamentarian without her knowledge, fired a formal complaint to the Inspector General of Police. Ebenezer Ahumah Djietror, a lawyer and Principal Assistant Clerk of Parliament was sent to the IGP to deliver Mrs Joyce Bamford-Addo’s protest. Information available to the New Statesman indicates that the IGP has since apologised to the Speaker for the decision to arrest the MP without channelling it through the Speaker as provided by the Constitution, convention and practice. The IGP is said to have conceded that he was acting on the instructions of the Attorney-General. Atta Akyea is to report to the Director- General of the CID today at 2pm. The New Statesman has cited a letter addressed to the Attorney General and Minister of Justice, dated 19th June 2011 and signed by Akoto Ampaw, solicitor for Atta Akyea, alleging a conspiracy to falsely criminalise a matter that is purely civil. In the letter, Akoto Ampaw accused Mr Adom, with connivance from elements of the criminal justice system, of putting improper pressure on Atta Akyea by using the sword of criminal prosecution to settle a purely civil matter. The police had, subsequent to Akoto Ampaw’s letter sent a letter to the Speaker, but without hearing back from the Speaker, decided to effect the arrest of the MP. This development is said to have infuriated the Speaker of Parliament. The facts of the case before the civil court are that Joseph Adom and J Adom Ltd hired the services of Zoe, Akyea & Co, a law firm headed by Atta Akyea, as far back as 2003 to prosecute his numerous cases in court. Zoe, Akyea & Co asserts that it has rendered legal services to J. Adom Ltd for which they are entitled to legal fees. Indeed, when one of J. Adom Ltd’s debtors requested for J. Adom Ltd’s bank details so they could pay the money due into the bank account of the construction company, Joseph Adom signed out a letter that Zoe, Akyea & Co should receive monies due J. Adom Ltd from the judgement debtor. This was because J. Adom Ltd wanted to use those monies to pay off outstanding legal fees. But, in the counterclaim, J. Adom Ltd and Joseph Adom assert something to the contrary and say that they owe Zoe, Akyea & Co no monies and that the firm rather owes the client. The differences by way of accounts and lien as a result of this lawyer-client relationship are the subject of the civil litigation. Zoe, Akyea & Co is currently leading evidence in the matter at the High Court, Commercial Division, Accra. What is agitating legal minds in the country is what stake the state has in a purely civil matter. The minority in Parliament will today hold a press conference at 11am in Parliament to express their disapproval over the actions of the Attorney General at the turn of yesterday's events.